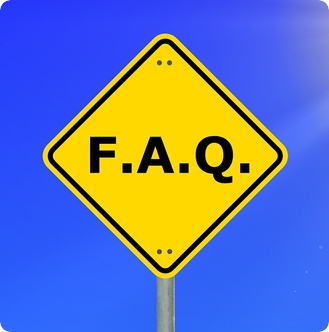 Welcome to our Frequently Asked Questions for Devereux Center for Resilient Children’s (DCRC) Preschool Initiative, Resources, and Professional Development opportunities! If you have a question about DCRC’s Preschool Initiative that is not included below, please submit your question here! Q1. How were the items and factors developed for the Preschool assessment (DECA-P2)? In summary, to create the items and scale for the DECA-P2, the authors began with a thorough literature review, re-examination of items on the DECA (1999), followed by focus groups with parents and caregivers/teachers. Next, readability and cultural sensitivity of the items were examined. Upon obtaining a pool of strength-based items related to protective factors and social and emotional health, national standardization occurred. Factor analysis was used to determine the best factor solution from psychometric and interpretability perspectives. Reliability and validity studies were then conducted. The DECA-P2 ended up with 38 items (27 strength-based protective factor items, and 11 items on the Behavioral Concern scale). Factor analysis elicited a strong three factor solution for the DECA-P2 that included clusters of items related to Initiative, Self-Regulation and Attachment/Relationships. Q2. How did the 3 factors get named Initiative, Self-Regulation and Attachment/Relationships? The assessment authors consulted with DCRC team members as well as a National Advisory Team to advise on naming the protective factor scales. Additionally our literature review provided further guidance in selecting these scale titles. There was strong agreement with both expert opinion and literature which resulted in the titles and their descriptions. “Initiative” remained the same as the 1999 DECA, while the other two protective factor scales had slight changes. The “Self-Control” scale became “Self-Regulation” to best capture the items on that scale and reflect the current use of terms in the early childhood field. “Attachment” became “Attachment/Relationships” to account for the interplay and interactions between children and those around them. Q3. Does this assessment come in Spanish? Yes. If languages other than English or Spanish are needed, please contact [email protected]. Q4. How are Families included in the DECA Preschool Program? Parents rate their child with the DECA-P2, using the same form a teacher uses (but do the rating independent from one another). Families are included all through the planning process, helping to identity strengths and goals for their child, as well as possible strategies. In addition, Promoting Resilience For Now and Forever offers an overview of social and emotional development and protective factors. It also offers strategies parents can use at home. This resource proves useful at parent meetings. Finally, “Partnerships with Families” is one of the five program elements used as the framework for developmentally appropriate strategies on the Reflective Checklists. Classroom staff are encouraged to reflect and improve upon their own skills in working with families by using strategies such as these below. For each of the items on the Reflective Checklist, pages of tips are offered in the resource Promoting Resilience in Preschoolers: A Strategy Guide for Early Childhood Professionals. Q1. Can the DECA-P2 be used as a screener and an assessment? Yes. It depends on the process and purpose for which it is used. The DECA-P2 is a reliable and valid assessment of protective factors in children ages 3-5. It assesses Initiative, Self-Regulation and Attachment/Relationships. The DECA-P2 also contains an 11 item Behavioral Concerns scale. These items were taken from the assessment of Behavioral Concerns contained on the DECA-Clinical (DECA-C). DECA-P2 results are individualized to meet the needs and identify the strengths of the child. Results of the assessment should be used to plan for children to support their growth and development in the area of social and emotional health. If the DECA-P2 is used to assess children’s protective factors and results are used to plan for that child’s growth and/or plan for all of children’s growth, then it is being used as an assessment tool. If the DECA-P2 is used only to identify which children may need further observation or assessment, then it is being used as a screener. Learn more about the DECA Preschool Program here. Q2. How close in time should the parent rating and the teacher ratings be completed? Ideally, the parent and teacher rating should be completed as close in time as possible. Since raters are asked to reflect on the child’s behavior “in the past 4 weeks”, this would assure they were reflecting on the same period of time. We realize that this will not always be possible. However, one should only compare ratings within overlap of that four weeks period, ideally, within at least two weeks of each other. Q3. Who should serve as the DECA-P2 rater in a team teaching situation? Have both teachers rate all the children, and then use the rater comparison table (Found on pages 110 and 111 of the DECA-P2 User’s Guide and Technical Manual) to determine where teachers see significant differences in children so that the information can be discussed and used in planning. Q4. Is it appropriate to translate the DECA-P2 Record Form for parents who do not speak English or Spanish, or who speak limited English or Spanish? These children should receive a teacher rating using the standardized assessment form. The results of a translated assessment should not be scored since the translated assessment is no longer standardized. Rather, the results should be reviewed and interpreted with caution and used to foster communication with the parents about the child’s behavior in the home and how to best promote the child’s protective factors in the home environment. Q5. Is it appropriate to read the DECA-P2 Record Form to parents who have difficulty reading? Yes, as long as the questions are read exactly as they are written, using a neutral tone of voice. Readers should not attempt to influence the ratings in any way. Q6. What guidance does Devereux provide around the number of visits that a home visitor should make before conducting a rating on a child? As stated in the User’s Manual, Devereux suggests that a teacher should, at a minimum, observe the child for two to three hours a day, for two to three days per week, for four weeks. Devereux made this recommendation based on feedback from early childhood educators who worked in group settings. Because of the differences between home visitation services and care in a group setting, Devereux offers modified recommendations for home visitors. Devereux strongly recommends that a home visitor must wait a minimum of 4 weeks before conducting the rating, but that the number and length of visits within that period of time might vary. The most important question for the home visitor to be able to answer is: “Do I feel that I know the child well enough to confidently respond to the questions on the record form?” If the answer is ‘yes’ and she has known the child for a minimum of 4 weeks, she can proceed to conduct her rating. Q7. For children who are age 3 or above, with a developmental age less than 3… which assessment is more appropriate, the DECA-T(Toddler 18-36 months) or DECA-P2 (Preschool 3-5 years)? The DECA-P2 should be used with all 3 year olds, regardless of the presence of a delay. Three-year-olds of various ability levels were included in the standardization sample, and thus, the tool is appropriate for use with all three year olds. Q8. If my preschool setting has 3 years old and some “older two” year olds enrolled, is it appropriate to use the DECA-T (Toddler) or the DECA-P2 (Preschool)? In general, the DECA Toddler form is recommended for two year old children. However, in those cases where a child is enrolled in a program for three year olds and the child will turn three within a matter of a few months, the DECA-P2 can be used. Studies were conducted to determine if results for “older twos” differed significantly from the three years olds in the DECA-P2 standardization sample. Significant differences were not found. Q9. Is it appropriate to use the DECA-P2 with 6-year olds? In general, if a child is five at the time of the first DECA-P2 administration, it is acceptable to administer the DECA-P2 again at mid-year and at the end-of-the-year, even if the child turns six during that time. However, do not administer the DECA-P2 to children who are already six-years old at the time of first administration. The Devereux Student Strengths Assessment (DESSA) would be the appropriate tool for children who are six at the time of first administration. Q10. Should the DECA-P2 be used with children who have special needs? We encourage programs to use the DECA-P2 with all children in the class, not just those already showing behavioral concerns and not excluding those with specific disabilities. While we promote the use of the DECA-P2 with all children, we also caution programs that staff need to be sensitive to specific situations and not in any way use information gained from the DECA-P2 in ways that would be harmful or detrimental to a child and his/her family. For instance, if a child with severe disabilities scored entirely in the area of need range on the DECA-P2 protective factor scales, the individual interpreting and sharing that information with families needs to be sensitive to the child’s particular condition. It should be noted that many developmental disabilities do in fact impact social and emotional development and therefore in many cases we would expect to see lower DECA-P2 scores in the areas of Initiative, Self-Regulation and Attachment/Relationships. This information is still valuable as it will likely support goals already identified as well as offering a strength-based method for setting goals. The information gained through the DECA-P2 should be considered one pieces of a much larger system of information gathering and assessment. Results should be communicated with families and used to develop comprehensive plans that identify goals and strategies for all the areas of need including those that will promote protective factors for the child. Additionally, for children who score in the area of need range across the board on protective factors, we recommend looking at the individual items on the protective factor scales to determine the child’s relative strengths and goals. This information, as well as continuous observations, can be very useful in the planning process. While Devereux does not have data on the representation of children with disabilities in our standardization sample, we know that children with disabilities were included based on their inclusion in the numerous Head Start Programs that participated in the standardization process. Q11. How many times per year should a program administer the DECA-P2? Is there recommended timing for administration? Ideally, programs administer the DECA-P2 three times per year. This allows for periodic reviews of children’s progress. Teachers can use these results to evaluate the effectiveness of strategies in supporting development of protective factors and minimizing or eliminating challenging behaviors. It is acceptable if a program prefers to administer the DECA-P2 only twice a year. The second DECA-P2 administration should be scheduled with enough time left in the program year to develop and implement plans based on the results. Because the DECA ratings on based on the child’s behavior in the past 4 weeks, the minimum amount of time that must elapse before the pretest and the posttest is four weeks so that you will be basing the posttest on a separate sample of the child’s behavior. However, most programs do not have the time or human resources to complete a DECA rating every four weeks. Consequently, our best practice model calls for three DECA ratings during a school year. The first would typically occur in early to mid-October after the child has been in the program for at least four weeks. This assessment is usually used to develop a plan to promote the child’s protective factors. The second rating occurs mid-year, often in late January. This rating is used to obtain feedback on whether the strategies are having their desired effect in promoting the child’s resilience. If the DECA scores are increasing, you can continue with the same plan. If, however, the scores on the DECA are not improving, you have an opportunity to try different strategies. The third and last rating occurs near the end of the school year and is used to evaluate and document overall progress across the program year. Of course, if you have sufficient time you could administer the DECA more frequently, perhaps every two months. For most programs, however, three times a year is a practical and useful model. Q12. How should my staff interpret the terms Never / Rarely / Occasionally / Frequently / Very Frequently when responding to the assessment items? During the national standardization process, raters were not given guidance about the meaning of items. As such, we do not suggest that guidance or interpretation of items be provided to raters. Rather, we suggest that you say, “What do you think it means?” Whatever the response, that is fine. What is important is that the rater use their interpretation of the item consistently whenever rating a child. Q1. How do I score blank items on the DECA-P2? Refer to the DECA-P2 User’s Guide and Technical Manual (page 79-80) for more information on scoring blanks. General guidelines are as follows: 1) There can be no more than two items left blank on the entire DECA-P2, 2) There can be no more than one item left blank on one of the individual scales (IN, SR, A/R, or BC). If these two conditions are met, use the table in the manual to substitute the mean or average score for the other items on the same scale. Substitute that number for the blank. Q2. What do the Strength, Typical and Area of Need ranges mean? Strength is a T-score of 60 or above in Initiative, Self-Regulation, Attachment/Relationships and/or Total Protective Factors. This means the child’s scale score was one standard deviation (or more) above the norm. High T-scores on protective factor scales indicate the child exhibited the strength-based item (i.e, Show patience.) frequently or very frequently. Typical is a T score from 41-59. This is the area that about 68% of children’s scores fall. Area of Need is the category of T scores 40 or below meaning the child fell one standard deviation or more away from the norm in the negative direction. Q3. Why is there no category for 'strength' in the behavioral concern domain? It is not theoretically possible to have a “strength” in a behavioral concern. Therefore, if a child does not have behavioral concerns, it is described as being “typical” (T-scores of 59 and lower). Q4. Why aren't there different norms for different age levels? The DECA-P2 was standardized on over 3500 children across the country. No differences were found in the scores obtained for children 3 through 5-years of age. Subsequent focus groups and data collection after this finding surfaced in the first edition showed that teachers and parents tended to have significant knowledge of the developmental appropriateness of children’s behaviors. They applied this knowledge to appropriately rate children of different ages. Q5. Why are there different norms for parents and teachers? In the standardization sample, in general, parent ratings tended to be slightly higher than teacher ratings of the same child. Therefore, the norms for parent ratings are slightly higher than those for teacher ratings on some of the individual scales. Q6. My district uses percent delay to identify if children need prevention services or a referral- How do I find a percent delay? Many states use percentage delays to find sufficient risk for early prevention and intervention services. For instance, a state may require a 25% delay in one or more domains. The DECA-P2 T-scores can be used in a similar way. Given that a T-score of 50 is considered “average,” a 25% delay would be a score of 37 (50 minus 25% (12.5) is 37.5, which rounds to 37). Children with a T-score of 37 on a protective factor scale could be considered 25% delayed. With this approach, the 25% delay concept results in a cut score of about one standard deviation from the mean, which is a value that has been used for many years as a reasonable rough estimate to indicate cause for concern. Q7. Should the DECA-P2 results be used to refer a child for a formal evaluation? No assessment instrument should be used as the only criterion for referral. Although the DECA-P2 provides important referral information, multiple sources of information, including parental input, should influence the decision. Remember, a major piece of the information gathering process should be observation. Q8. Is it acceptable to photocopy the assessment results in order to give a copy to parents? No. As the DECA-P2 is copyrighted, it would be a violation of the copyright. In addition, giving parents a copy of the DECA-P2 results item by item would affect the test-retest reliability. The best way to present results to parents is through use of the Individual Child Profile, ideally coupled with a written summary of the child’s T-scores, percentile scores, strengths, and areas for growth in both the home and classroom setting. Q9. Why is the T-score in the Area of Need Range if all of the items are in the Typical or Strength Range? On the DECA-P2 it is possible for a rating provided by a Parent on the Attachment/Relationship (A/R) scale to yield a T-score in the Area of Need Range even though all of the individual item ratings are in the Typical or Strength range. Similarly, it is possible to obtain a T-score in the Area of Need Range even though all of the items received a rating of Frequently. In both cases, the reason is the same – parents tend to give high ratings on the A/R scale to their children. As a result, a rating by a parent in which the child receives a rating of Frequently on every item is still a low score when compared to other parents who typically rate their child as showing at least some of the behaviors on the A/R scale as occurring Very Frequently. The rule for identifying the Need for Instruction range is the same for every scale and both parent and teacher raters. It is the raw score that is equivalent to a T-score of 40 and a percentile score of 16. In the case of parents, who generally report high frequencies of the behaviors on the A/R scale in their children, this raw score is high compared both to teacher ratings on A/R and parent ratings on the two other protective factor scales, Initiative and Self-Regulation. Q1. Where do I find the information needed to interpret changes in a child’s T-scores from pre-test to post-test? Refer to the DECA-P2 User’s Guide and Technical Manual, pages 111-112, as well as the tables for parent and teacher ratings, found at this link. The complete “advanced interpretation” tables allow you to interpret all scores (both scores that improved as well as scores that worsened) between DECA-P2 ratings using the standard error of prediction approach. Q2. What amount of a change in a child’s DECA-P2 results should our program expect? The amount of change noted in children’s scores depends on a number of factors including how much risk and adversity the child is experiencing, the degree of fidelity in which the DECA Preschool Program is being implemented, the consistency of the raters, etc. However, in general, we typically find that a good program doing a decent job of implementing the DECA Preschool Program sees on average a 3-5 T-score point change across one program year. Another good way to consider this is that a common rule of thumb in the social sciences is that change of only 1 T-score point is negligible or meaningless. A change of 2, 3 or 4 points is a small change. A 5, 6, or 7 point change is a medium change, and any change of 8 points or more is a large change. Usually, social science and education folks are very happy to get a medium change over a one-year period. Download directionsand an Excel template that calculates DECA-P2 score changes. Q3. Can I do a pretest-posttest comparison to examine changes in a child’s social-emotional competence across Devereux assessments (e.g., a pretest DECA-P2 and a posttest DESSA)? Yes, however a number of recommendations apply. Click here to access these recommendations as well as the values required for significance when comparing across Devereux assessments for both parent and teacher raters. Q4. How can the DECA-P2 be used to measure outcomes for individual children, groups of children, and program evaluation and quality improvement purposes? The value of the DECA assessments are that they not only provide psychometrically-sound measures of within-child protective factors in individual children and groups of children, but they can also be used for progress monitoring and program evaluation purposes. Progress monitoring consists of administering an assessment such as the DECA multiple times throughout a school year in order to examine how children are responding to a particular intervention or program. The goal of progress monitoring is to obtain feedback during the intervention or program so that the nature or intensity of the intervention or program can be adjusted to maximize the chance of a successful outcome. Progress monitoring may occur multiple times over the year. In contrast, program evaluation refers to examining the progress or change observed over a defined period of time such as a school year to determine overall program effectiveness. Download a document that will provide guidance on using our assessment to both monitor the acquisition of protective factors of children and to evaluate the impact of intervention. Q1. Do I need to buy DECA-P2 Record forms if I use the web-based eDECA system? No. In addition to completing the DECA-P2 directly online, a pdf of the DECA-P2 can be downloaded for parents and other raters who do not have access to the internet. Once the pdf is completed, the scores can be entered into the system to obtain the scores and available reports. For more on the eDECA, click here. Q2. Can I use my 1999 Strategies guides with the 2012 DECA-P2 Record Form? Yes. The Strategies guide from 1999 and Promoting Resilience in Preschoolers: A Strategy Guide for Early Childhood Professionals (2012) are both designed to promote protective factors in young children. We believe the 2012 Second Edition offers many new, more detailed tips and strategies specific to each protective factor (Initiative, Self-Regulation, and Attachment/Relationships), and that the resource will greatly enhance your planning efforts. If a program chooses not to purchase new Strategies guides, it should be noted while planning that the Attachment scale from the 1999 version is now Attachment/Relationships on the DECA-P2, and the Self-Control scale is now Self-Regulation. Q3. What training options are available? Visit this link of our website, or contact Debi Mahler, Director of Professional Development, to talk about options for your community onsite: (866) TRAIN-US, or, [email protected]. Q4. What strategies and activities are available to promote resilience? Strategies for the home setting and group setting are provided through several DECA Preschool Program resources; Promoting Resilience in Preschoolers: A Strategy Guide for Early Childhood Professionals, Promoting Resilience For Now and Forever: A Family Guide, FLIP IT ®: Transforming Challenging Behavior, and Socially Strong Emotionally Secure. Q1. Is the FLIP IT strategy evidence-based? A thorough review of the literature informed the development of the FLIP IT strategy, ensuring that each of the technique’s four steps is based on solid evidence of how to support children’s social and emotional development. Literature informing the feelings step shows that helping preschool children understand, label, and regulate their feelings and emotions is critical to their healthy development, including interacting and forming healthy relationships. (Saarni, C., 1990). With respect to limits, research shows that preschool children need to be provided with clear, firm, calm, appropriate, and consistent limits in order to reduce challenging behaviors and promote the use of acceptable alternatives (Kazdin, 1987). Inquiries have been shown to help children consider alternative solutions to conflicts, resulting in reductions of challenging behavior (Pettit, G.S. 1988). Lastly, with regard to prompts, teaching young children skills that can be used to replace challenging behaviors is one of the most effective evidence-based interventions available for these behaviors (Conroy, 2005). In addition, FLIP IT has been studied as a four-step sequence and has been found to be an effective strategy for transforming challenging behavior. The most thorough evidence that currently supports FLIP IT’s four-step sequence comes from a study completed by Miami University. This study shows that FLIP IT can be an effective strategy for decreasing children’s behavior problems, anxiety, depression, withdrawal, and aggressive or delinquent behavior; and increasing children’s initiative, self-regulation, and attachment. Researchers found these positive outcomes to be substantial and long-lasting, even after conducting only one FLIP IT parent training session. Download the executive summary and/or full report to read more.